When marketers craft a digital marketing campaign, they typically perform a crucial step: mapping out content for each stage of the marketing funnel. 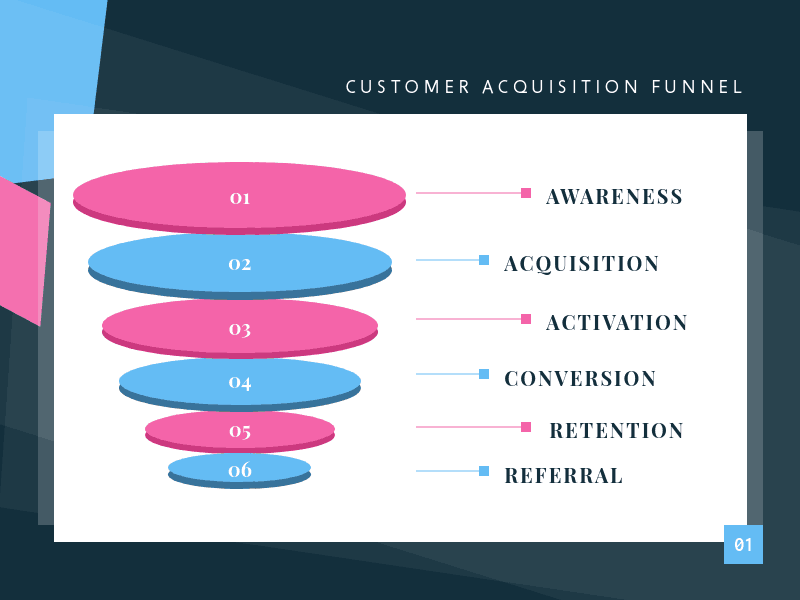 Simply put, a marketing funnel is a series of steps a person takes in his or her journey towards becoming a customer. Think of the last time you bought a product or subscribed to a software service online. What steps led you to make the purchase? What content informed your decision, and what finally convinced you? Chances are you were exposed to various types of content produced by the company before you became a customer. Maybe you searched for an ‘easy video editor’ on Google, and suddenly an ad for a certain video app is appearing on your email and Instagram feed. What are these steps, exactly, and what measures of success should you look for? Let’s find out below. When you plan your content calendar, you’ll need to map out content for different stages of the marketing sales funnel, in line with your digital marketing strategy. 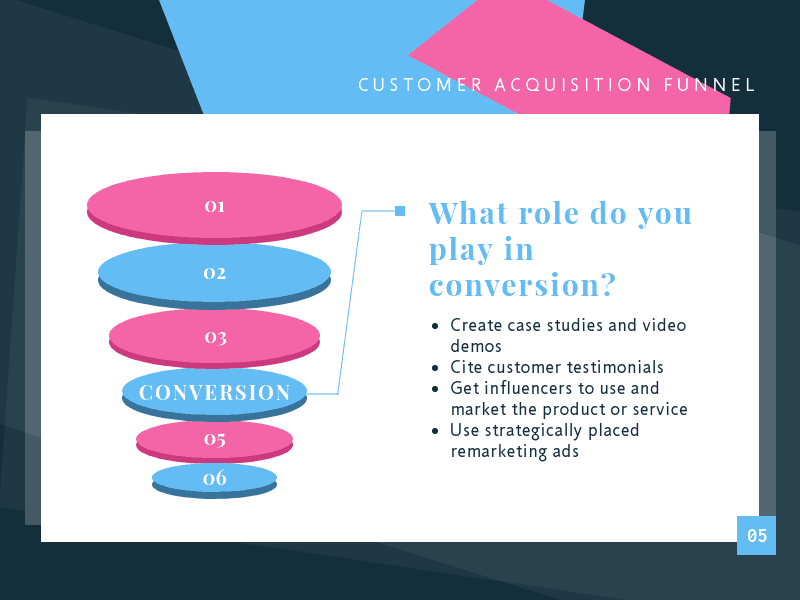 Let’s go through the funnel step-by-step to understand the role each stage plays in a cohesive digital marketing strategy, and see what content types and metrics are relevant at each stage. 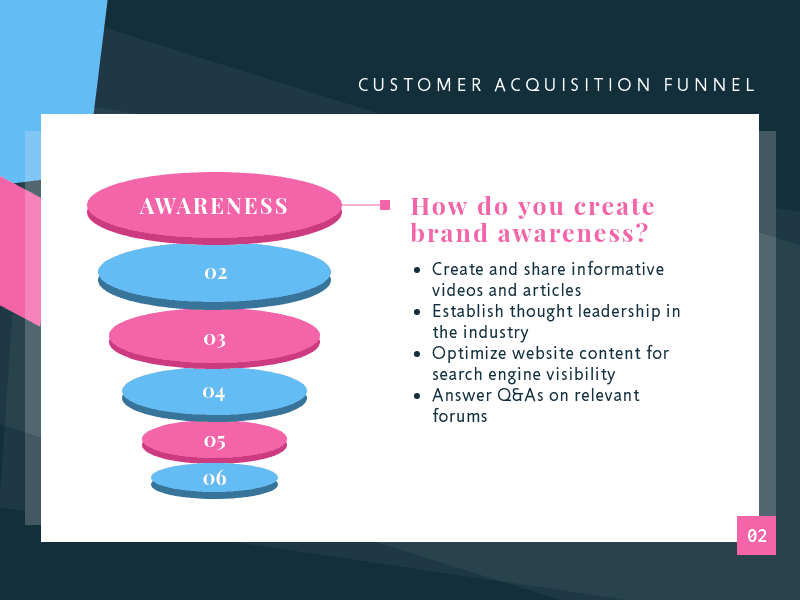 At the awareness stage, you’re simply trying to get the word out about your brand. It’s not about the number of sales, but the number of people who actually know about you and your products or services. At this point of the marketing funnel, you’re not developing sales messages. The goal is to create content that matches what your potential customers search for online. Awareness-level content will help boost your organic search rankings by matching people’s search intent. It also creates a buzz around your brand. An idle browser on Instagram’s IGTV will come across different ‘channels’ featuring vertical videos. The video featured in the screenshots below quickly catches the eye with its neon colors. It shows a walk down a fun, quirky street. And it doesn’t end with awareness. It seeks to get the user engaged by including a call-to-action to follow Kurebayashi on IGTV. That’s a win for both Kurebayashi and Instagram, because you become a potential follower. This call-to-action helps drive the customer down the next stage of the digital marketing funnel. Another example for the awareness stage is this simple, brief article by HubSpot explaining what lead scoring is. Place yourself in the potential customer’s place and imagine you were searching the phrase “what is lead scoring”. It leads you to this short article. The keywords used in your search reveals that you’re new to this aspect of sales – which means you’re probably not about to buy a lead scoring platform any time soon, but might do so in the future. The best content, then, is one with a low barrier to engagement. 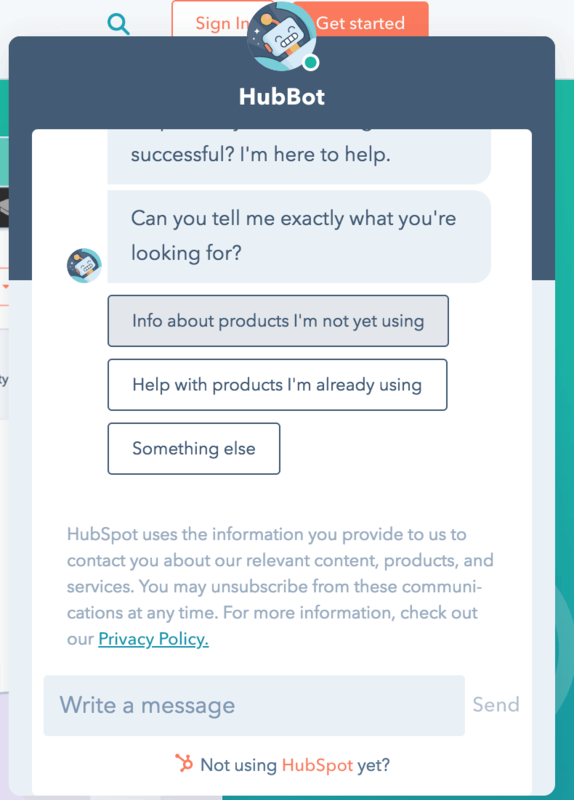 This article by HubSpot achieves that, as it doesn’t ask for any personal information or for too much of your time. It does, however, try to lead you further down the marketing funnel with an e-book offer. It’s one thing to give people information; quite another to spark and keep their interest. 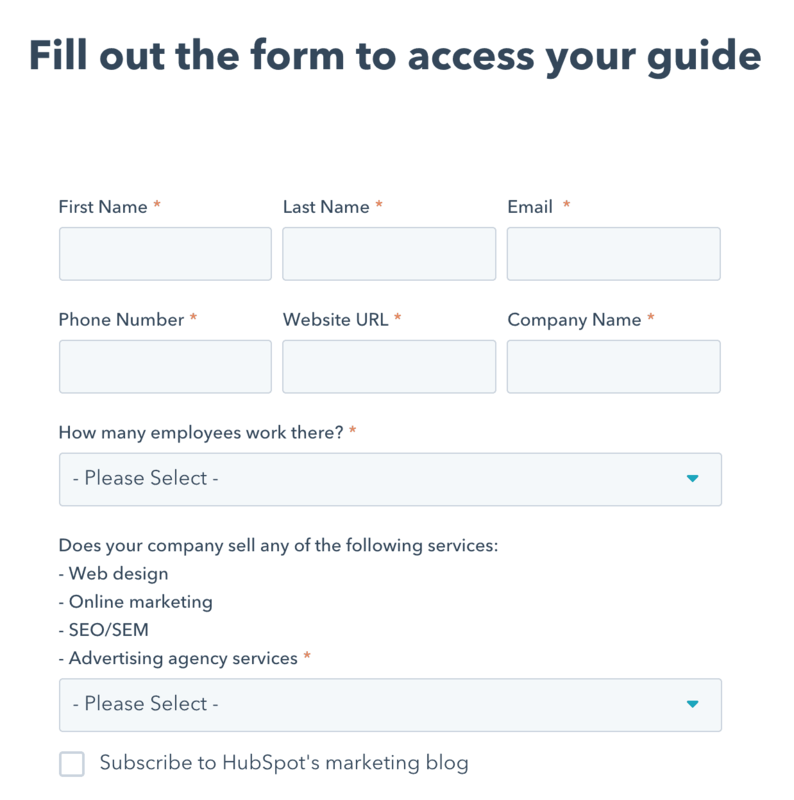 Marketers do this by offering valuable content behind a form that asks for an email address. Sometimes, the form may also ask about the person’s line of work. 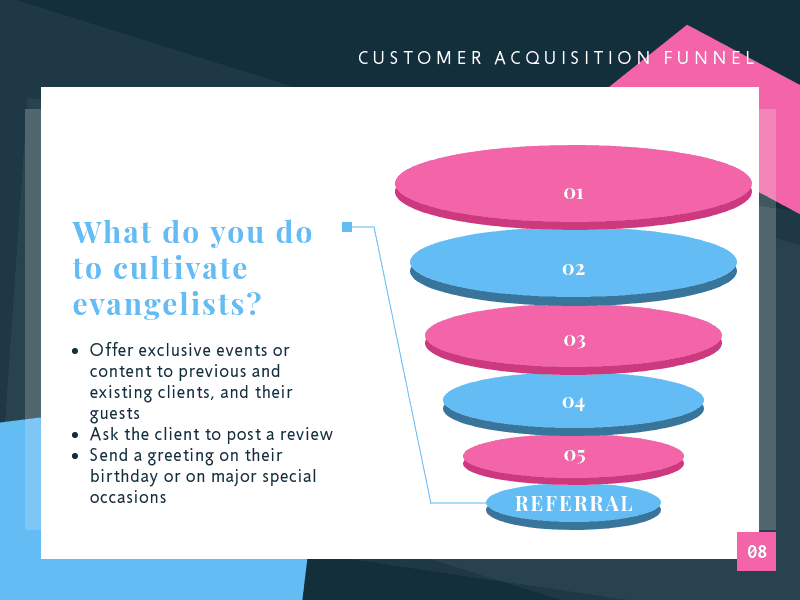 As a rule of thumb, the more valuable the content and the further down the marketing funnel the customer is, the more questions you can ask. At the customer acquisition point, though, you’ll want to keep it short. The email address will help you continue reaching out to the person long after he or she has left your website. 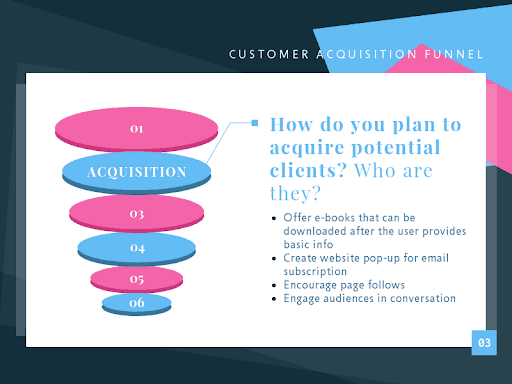 To acquire potential customers, you can use content like e-books, email newsletters, guides, and linked stories on Facebook, Instagram, Snapchat, YouTube, and other video platforms. These types of content provide more value than those offered at the awareness stage, but don’t ask for a high level of commitment from the customer. This type of content should encourage engagement. A good example is this Facebook Canvas ad by Royal Carribean, a cruise operator. 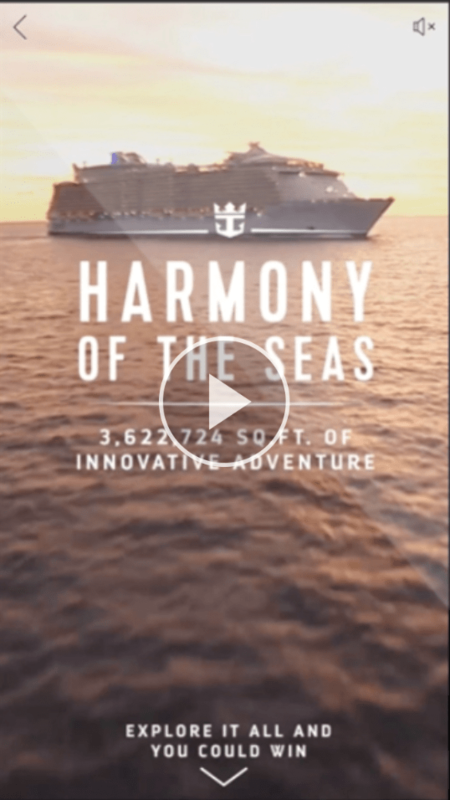 The ad came in the form of a video that users can tap on, scroll through, or zoom in on to get a sense of what life at sea is like. Royal Caribbean also invited users to enter their sweepstakes for the chance to win a free cruise. For another example, let’s go back to HubSpot’s lead scoring article. To target users at the acquisition stage, HubSpot offers a longer article explaining how to do lead scoring. There’s an e-book on offer at the end of this article, too. If your job requires you to be good at lead scoring, you most likely won’t mind giving out some information about yourself in exchange for the e-book. Metrics to measure: Measure page follows, likes, organic reach, clicks, conversion rate, number of leads, and number of newsletter subscribers. At the activation stage, you’re trying to increase the lead’s engagement with your company. This can take place on social media channels, websites, emails, and live videos. As the potential customer moves further down the digital marketing funnel, your decisions become increasingly tailored to the potential customer. That means you’ll be looking at the person’s past actions to decide what you’ll offer next. Make sure to optimize landing pages, too, by testing different elements one at a time. You might want to see if changing the color of a call-to-action button makes it more clickable. You might tweak the headline or the position of the sign-up form on the page. Use tools like Optimizely and Google Optimize to conduct A/B tests and analyze the results. Content at the activation stage should encourage sign-ups. Here’s an example from the Massachusetts Institute of Technology, delivered by email. For students who have expressed interest in learning more about data science courses, they offered free access to a talk by a research scientist. 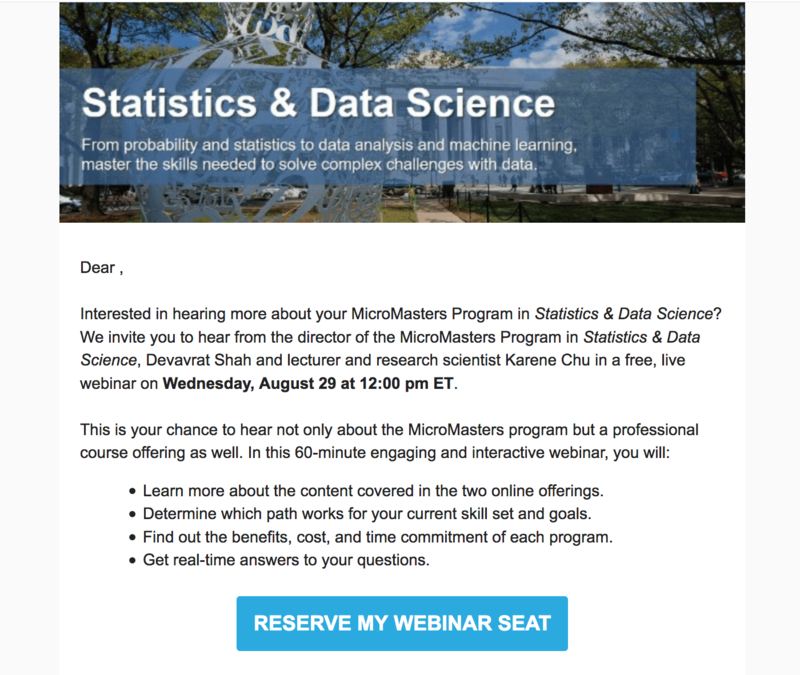 And since it’s a live webinar, the recipient of this email has to act quick to reserve a spot. Freebies are another way to gain sign-ups. 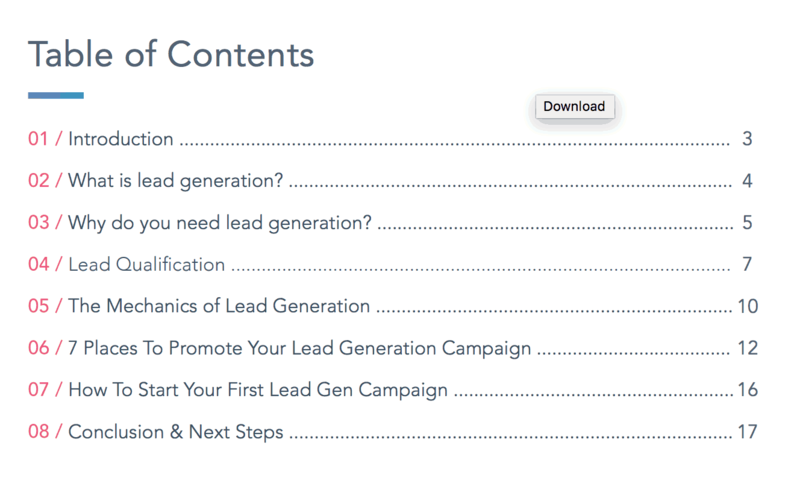 Remember the HubSpot lead scoring e-book we downloaded? 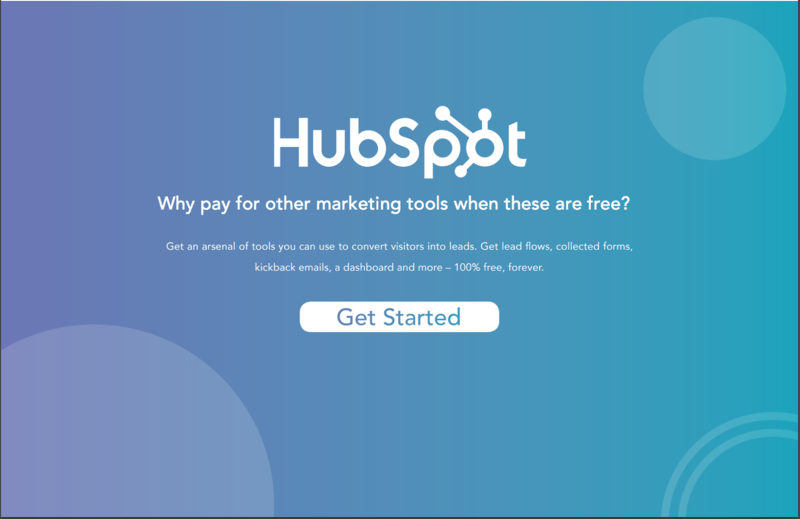 By focusing on its free CRM and the loads of information you’ll receive when you sign up, HubSpot drives activation or signups without rushing to the conversion or purchase stage. And sometimes, getting to experience a product – be it trying out an outfit or a software demo – is exactly what it takes to nudge customers closer to a purchase. Metrics to measure: The most important activation metric is the number of sign-ups for your offer. 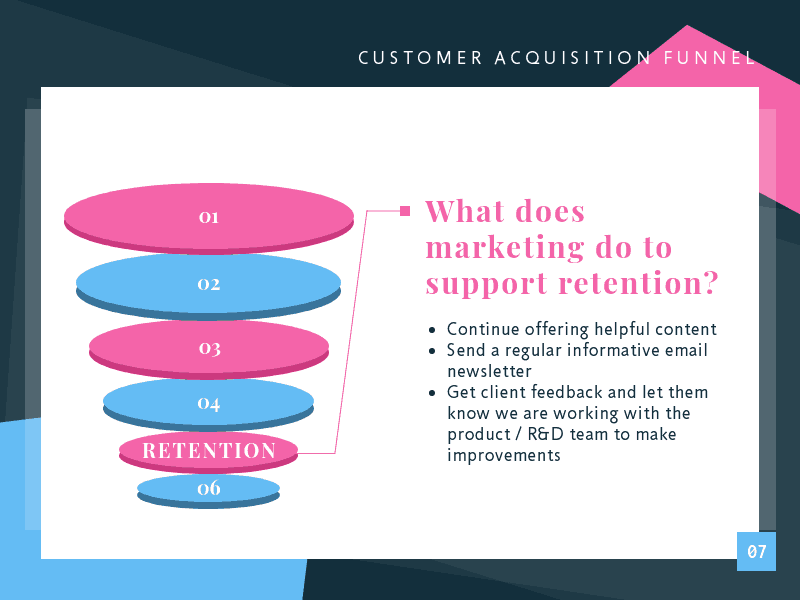 Marketing and sales teams work more closely together towards the bottom of the marketing funnel. The conversion stage is where you’ll finally convince your leads to become customers, which means purchasing your product or service. While ads can and should be created for different stages of the funnel, they’re crucial at the conversion stage. This is where you finally talk directly about what you can offer the customer. Digital marketers typically achieve this with persuasive content, such as case studies and heavy product demos. You can also bring in customer testimonials, as well as influencers who can advocate for your product or service. 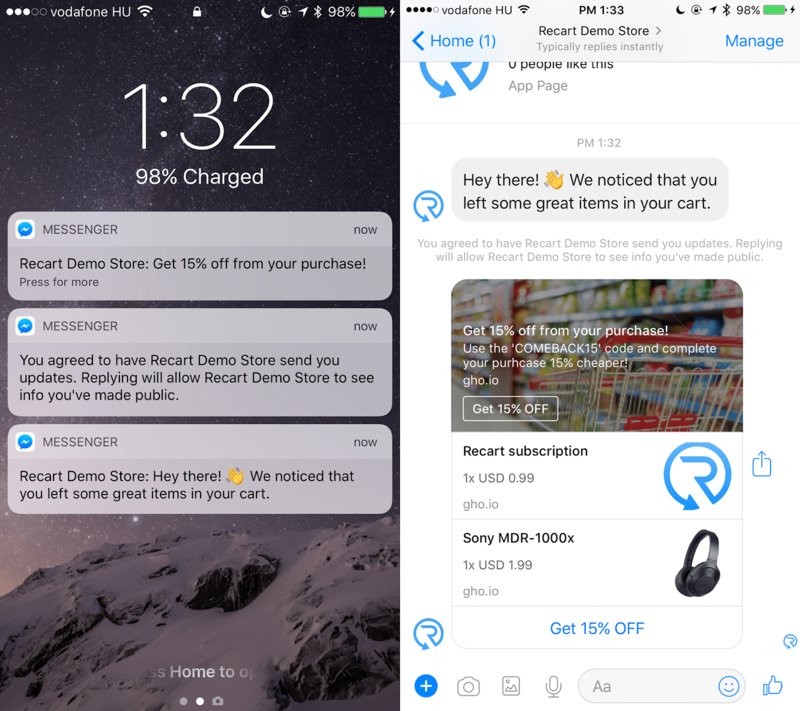 Earlier, we talked about how direct messages can help convert online shoppers who have abandoned their carts. It’s personal and also convenient, sending the user the link for check out. All he or she has to do now is click. Sometimes, people need just a bit more convincing before they make a purchase. Videos are a great way to do that because they can help the potential customer visualize how much easier (or interesting, successful, and so on) life would be with that product or service. 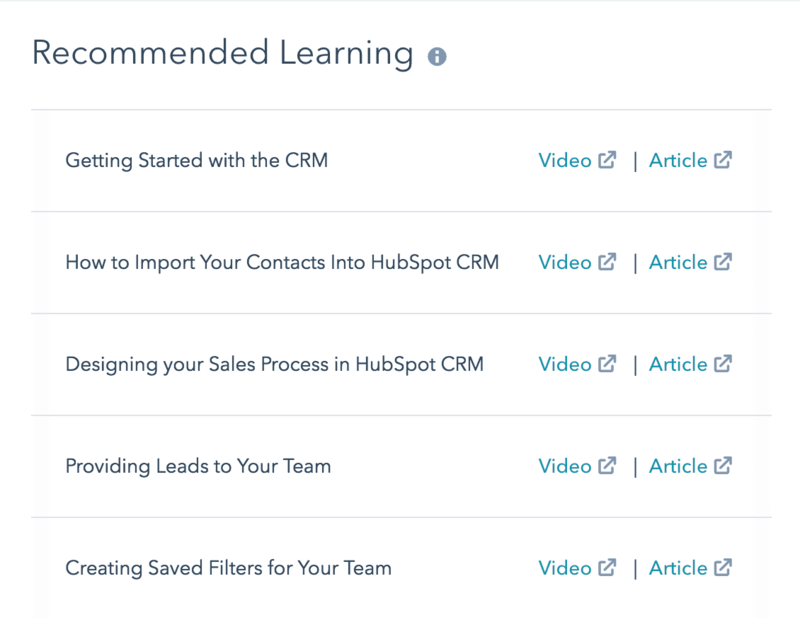 A video is the very first thing you’ll see on HubSpot’s lead scoring product page, explaining how the software works and what benefits it provides. There’s also a chat bot offering direct messaging. Once you reply, you’ll be connected with an actual salesperson. Metrics to measure: Conversion rate is the main metric at this stage of the marketing sales funnel. However, depending on what you’re selling, and on what platforms, you can track specific measurements, too. For example, you can track customer acquisition cost, as well as the number of website visits it takes for a lead to convert. You can also track socially-assisted conversions through Google Analytics. That means the conversions that were aided by visits to your social media page. For online shopping, analyze the rate at which people abandon their cart. It’s possible they just got distracted before purchasing – but if plenty of people are leaving just before checkout, there must be something wrong with their user experience. Investigate and resolve this with your UX (user experience) teams. 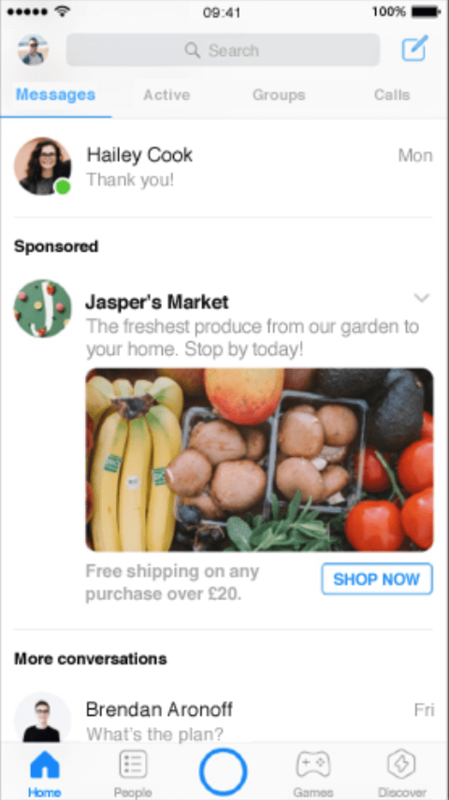 Meanwhile, remind shoppers of their carts by using a combination of ads and emails or direct messages. Once you’ve won over your customers, do your absolute best to keep them. This is especially important if they need to pay monthly for your product or service, or to keep replenishing their stock, as in the case of cosmetics. Digital marketers can help at this stage by offering content that delights the customer by being either helpful or entertaining (or better yet, both). If you sell makeup, for instance, offer customers exclusive access to video tutorials and product previews. Reward them for their loyalty with promotional incentives. Most of all, get customer feedback on the product or service, and assure them you’re continually testing ways to improve their level of satisfaction. The last thing you want is for the customer to finally start using your product – only to give up out of frustration. So help them out by improving their experience as much as possible. How-to videos and product maintenance guides are good examples of this, such as this video by Dyson. Metrics to measure: Check your client retention rate, as well as their engagement with the content you offer. Meanwhile, continue learning about your current customers so you can anticipate their needs. Failure to do so leads 50 percent of customers to switch brands, according to Salesforce. Happy customers become brand advocates. And honestly, that’s the most powerful marketing tool. Transform your satisfied customers into evangelists by asking them to post a review online. The good news is that reviews are more likely than not to influence purchase decisions. Research shows that 85 percent of consumers trust online reviews as much as personal recommendations. This was certainly true for Express Watches, a Seiko watch dealer, which increased online sales by 58.29 percent by adding a customer review widget to its e-commerce site. You can also get customers to fill out a satisfaction survey right after purchase. Meanwhile, remember your loyal customers during special occasions. Offer a discount during their birth month and on major holidays. Invite them to exclusive events and allow them to bring a guest or two. And of course, continue engaging them with useful content. Lastly, you’d want people to tell both their friends and strangers about how awesome your product or service is. 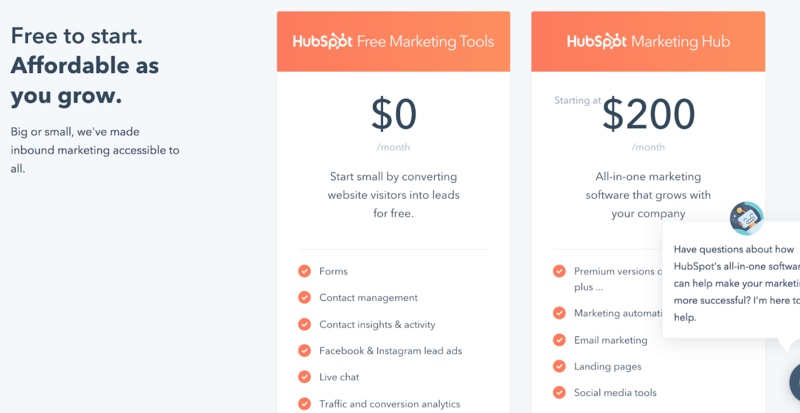 HubSpot offers an affiliate program for people to do just that, and earn a commission as well. Metrics to measure: One key metric at this stage is your Net Promoter Score. As time goes by, you can track how much of your new business is driven by referrals, perhaps by giving customers unique referral codes. Companies that apply this tactic successfully include Uber, Dropbox, and Facebook. The video, though, wasn’t posted by the person featured – Haruka Kurebayashi – but by Instagram itself. It offers a glimpse of both what you can see and do on IGTV.Companies’ Facebook pages can feature user reviews, too.For HubSpot, once they get people to start using their product, the company makes the learning curve easy with video and written tutorials and tips.Metrics to measure: To measure customer awareness of your brand on social media, you can track metrics such as reach and likes.So are recipes for people who purchase cookware or kitchen appliances, like KitchenAid blenders.